Yesterday the Pirate101 Test Realm opened up with a new update.....Henchmen! 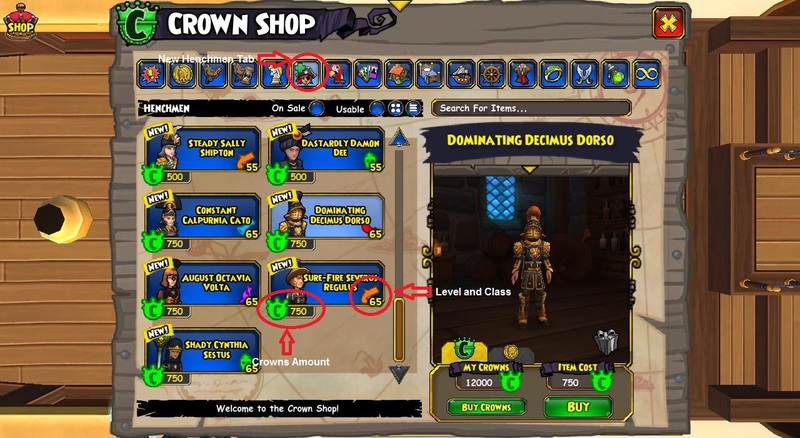 If you are having trouble in a battle, you can now click on the crown shop and pay anywhere from 75-750 crowns to get a henchman to help you out. There are henchmen for each class available at the following levels: 15, 25, 35, 45, 55 and 65. If you are familiar with the henchmen in Wizard101, the henchmen in Pirate101 are kind of on the same idea. You hire them to help you out in a battle. 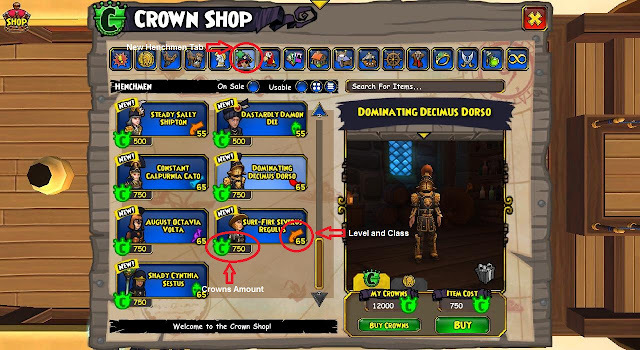 However, in Pirate101 you get to control you henchman the same way you control your companions. And they get all the epics, powers, talents that their level player should have. So a level 65 henchman has everything for their class! EPIC! You can see more details in the Update Notes. I logged into test realm to try out some henchmen. I didn't get to try all of them yet, but I did try out all the level 65 ones. They are all awesome, but the buccaneer was definitely my favorite. Not only does he look awesome, but he is really strong! Here he is in action. I can honestly say that I was never a huge fan of henchmen in Wizard101. I did use them sometimes, but I mostly found them annoying since they would heal at the wrong time or use my traps. 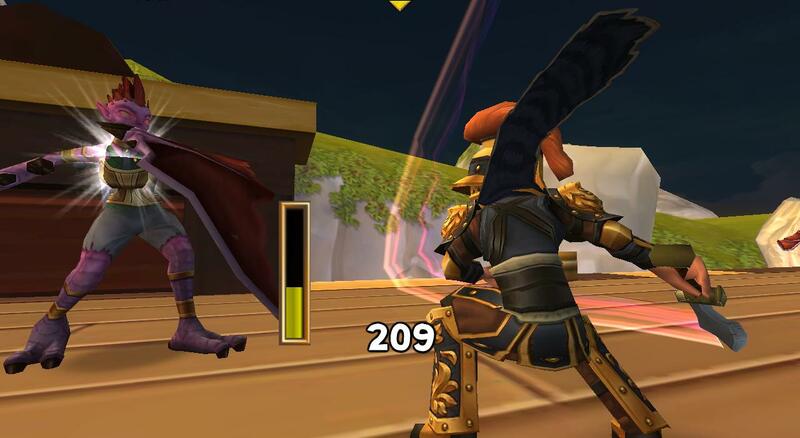 However, the Pirate101 henchmen seem about a million times more appealing to me since we can control them. I can't wait until they come to live realm! Question! Once you buy a henchman for battle, do you get to keep them? Or do you have to buy for every battle? Each henchman is only good for one battle. It's kinda like having another pirate port to you to help ya out, except you have to pay for it.